This June Israelis confronted a new set of proposed regulations that would govern how faculty members address political issues in their classrooms, their publications, in external political activity, and in public debate. At the core of these proposed regulations is an effort to impose fundamental and wholly unacceptable government constraints on faculty political speech and, more broadly, to radically circumscribe the authority of Israeli academic institutions to do their work. The self-regulating system that Israeli universities embody—in which a voluntary body of scholars defines the principles that guide professional conduct—has evolved in democratic societies over decades and centuries. These proposed regulations aim to substitute government intervention and outside political control for principles that have sustained higher education’s intellectual independence and helped give Israel a college and university system of the highest caliber. All those who care about Israel’s future should take notice and urge their prompt and decisive rejection. The guidelines have been condemned by Israel’s university presidents, by the National Union of Israeli Students, and by Reuven Rivlin, the president of the country. It is not clear that there now remain enough votes on the Israel Council for Higher Education to get it approved, at least in its present form. 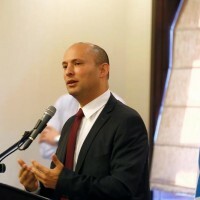 It was Naftali Bennett, the current education minister and head of the far right Jewish Home Party, who initiated the project by asking Professor Asa Kasher of Tel Aviv University and Shalem College to draft the guidelines on the Council’s behalf. But it is no longer even clear that the document will be debated in MALAG, as the Council is known in Israel. Nonetheless, it has already had an impact, both in Israel and abroad. Indeed it purports to echo AAUP (American Association of University Professors) policy, so there are many reasons to review it in detail. In its overreach, the proposed rules actually go well beyond the effort to regulate faculty political activity. Toward the end, Israeli faculty are warned that in their off-campus activities they should “avoid obscenities, cursing, swearing, crude disdain, nonsensical or clearly exaggerated generalizations or any other expression that has no place in the discourse of any academic discipline” (C-13). * One may reasonably wonder how many protest rallies or comparable events in wartime the author has attended. Or how much of the international discourse of some social science or humanities disciplines he knows well. Or how many professorial tweets he has read. The crowded field of academic publication itself would suffer a rough winnowing if everything devoted to “clearly exaggerated generalizations” were to be disallowed, assuming of course that any agreement could be reached on what qualified as clearly exaggerated. But the darker effects of the document are not entirely limited to the dangers of codifying imprecise language into law, of which the passages above are fair examples. Similarly, the text goes on to declare that faculty participating in off-campus political activities “will act in such a way as to preserve the public’s faith in the academic propriety of academic institutions and disciplines.” Perhaps the author might have aspirationally urged that faculty members try to restore such faith, but the notion that such faith is securely in place either in the US or Israel could only be labeled as fanciful. Indeed, while Israeli and US academic programs confront different cultural contexts, the political right in both countries often excoriates faculty for their political beliefs. Not much better is the repeated invocation of a standard of human dignity, adapted from Israel’s 1992 “Basic Law: Human Dignity and Liberty.” The Knesset passed the “Basic Laws” in lieu of a constitution so as to give a series of principles constitution-like force. The contemporary notion of dignity came into being immediately after the Second World War, in the wake of the profound failure of political institutions to protect citizens and refugees alike. The notion of dignity was conceived as a structure for grounding human rights independent of institutions of state. Dignity at once registers the fragility of political institutions and the necessity of political speech, a speech that, in its capacity for analysis and critique, operates to allow those political institutions to function at their most robust. Here, unfortunately, the concept is being employed, as some feared at the time, not to protect political speech but rather in an effort to limit it. It would be a stretch to argue that faculty political speech constrains human rights or contravenes the Basic Law’s affirmation of “the value of the human being, the sanctity of human life, and the principle that all persons are free.” The law does provide that “there shall be no violation of the life, body, or dignity of any person as such,” but there too the principle is arguably better protected by the free flow of political opinion. More directly applicable is the principle of academic freedom, a principle best treated as much as possible as an international standard. It can weaken the standard to limit its character and application by reference to national legislation. “Use of freedom of expression or freedom of creation in a manner harmful to human dignity should be properly limited by the institution of higher learning” (A-3), the text urges, but satire in the arts as practiced in universities and elsewhere, to give one example, observes no such principle. The standard of human dignity reappears several times, in part in an effort to extend this admirable if somewhat vague notion to all stakeholders, so faculty members are warned to “steer clear of giving stage or appearing to give stage to students’ political activity which might hurt the human dignity of an individual or group” (C-6). Of course dignity is often a matter of judgment, not objective fact, and once the mere appearance of abridging it is prohibited we are at best in the arena of mandated self-censorship. Moreover, though such student offenses might merit discussion they can hardly be prevented beforehand without chilling all classroom expression. “Even in activities outside the campus, the faculty members will avoid hurting the human dignity of a specific student, a group of students or the students in general” (C-9). There is a general principle at issue here—that people merit respect while not all ideas do—but it takes no small amount of effort to get students to understand the difference. Their instinct is to feel personally wounded when their ideas are critiqued, which is fundamental to academic debate and academic freedom. Endorsing the standard of an appearance of an affront takes us well into the arenas both of personal psychology and of micro-aggressions, neither of which are good standards for a sanctions regime. Appearances, notably, make their presence felt repeatedly. We are told that faculty “will steer clear of any conduct which involves rejection, silencing, exclusion, or discrimination [of students] due to their characteristics or personal views, including their political views,” a standard the AAUP endorses as well, but we cross the line into campus interpersonal and judicial chaos when “any conduct which has the appearance of such inappropriate treatment” (C-4) is added to the list. There are times on campus when appearances have to be managed, such as when a faculty member or administrator has the appearance of a financial conflict of interest, but a higher bar needs to be set for speech that is thought to offend. To avoid political offense in teaching, the document notes that we should expect to see faculty “professionally and respectfully presenting the arguments on the different sides” of controversial issues. Realizing perhaps that demanding equal time for alternative political views is hopelessly unrealistic, Kasher instead insists they receive coverage and be represented “fairly” (C-3). That too is unrealistic, no more so than with the world’s single most controversial historical, political, sociological, and cultural topic, the Israeli-Palestinian conflict. But the AAUP explicitly rejects any mandate for political balance in syllabi or courses. As long as faculty welcome opposing student opinion, they can advocate for a political point of view when it is germane to course subject matter. The AAUP’s position was most fully worked out in two detailed reports, “Freedom in the Classroom” (2007) and “Ensuring Academic Freedom In Politically Controversial Academic Personnel Decisions” (2011). Behind these reports lie years of debate about the benefits of advocacy in the classroom. Suffice it to say here that detailed, well-reasoned and well-documented advocacy can help students learn how to participate in political debate, possibly with higher standards than public political culture usually exhibits. That said, while faculty political bias is protected by academic freedom, it is not protected from serious and intense critique. And the campus has some responsibility to ensure political balance in the curriculum as a whole, though not in individual courses. That is a distinction Professor Kasher does not seem to understand. The broad standard the document applies to the content of faculty research and teaching is that represented by disciplinary consensus, “subjects and trends acknowledged by the international community of scholars in the discipline” (B-2). In practice, that means a faculty member cannot be sanctioned for research and teaching that embodies what many members of an academic discipline believe to be true. While that is an appropriate standard in harmony with AAUP arguments, it would not produce results that would make Naftali Bennett happy. Several academic disciplines or subdisciplines now routinely support the view that Israel is a settler colonialist society that practices apartheid. Some smaller or highly politicized academic associations in the US have endorsed academic boycotts of Israel. And yet the guidelines state unequivocally that “a member of the faculty of an Israeli academic institution will not participate in an academic boycott of Israeli academic institutions or in a call for others to participate in such a boycott or support it” (C12). Not only is that rule unacceptable in principle: it is also an Orwellian constraint on speech. If you cannot advocate for a boycott can you advocate against it? If you cannot encourage students in a political science course to be critical of the weaknesses of Israeli democracy, can you encourage them to respect its strengths and achievements? Or is only one political stand acceptable in higher education? Eviscerating political debate would eviscerate Israeli higher education. It needs be said unequivocally: the provision barring faculty BDS advocacy is a serious, unacceptable, and explicit violation of academic freedom. Israel’s president and the heads of its universities were correct in condemning it. Making this a matter of government policy undermines the integrity and independence of Israeli higher education. While this is the most provocative feature of the proposal, it is not the only one that would run afoul of AAUP standards. Echoing the logic behind the warning in the AAUP’s 1940 “Statement of Principles on Academic Freedom and Tenure,” which advises against introducing extraneous political material into the classroom, the Kasher document says “a faculty member will not allow himself to deviate from the syllabus and from the discipline of the academic unit for the sake of political activity or similar proselytizing, beyond a trivial, momentary deviation. A significant deviation for the sake of political activity or similar proselytizing is inappropriate and can count as abuse of authority in the workplace”(C-2). This is far more stern, threatening, and comprehensive than anything the AAUP intended. Realizing that its brief 1940 advice risked punitive action against offending faculty, the AAUP in 1970 clarified the statement to warn against “persistent” introduction of political issues not relevant to the course subject. In fact, the absolute prohibition against the introduction of extraneous political material is inhumane. When the Six-Day War broke out or Yitzhak Rabin was assassinated, Israeli students or faculty might well have thought it imperative to set aside the day’s chemistry lecture and talk about the only thing that mattered that day. So too for US students and faculty when Pearl Harbor was attacked or Martin Luther King was assassinated. From those catastrophic examples one may move to more prosaic instances when a class could spend time on something entirely outside the syllabus—perhaps an impending vote on a divestment resolution, or a decision about how Nakba Day might be celebrated. Once these necessary freedoms are conceded, realistic, rather than insistently idealist, standards for fundamentally political subjects logically follow. There are other suggestions about which Kasher gives sound advice. He is correct, for example, in establishing that “the faculty member will not use the institution’s stationary for his political activity” (C-120). He might add that an institution’s email system cannot be used to promote particular candidates for political office. He is also correct to say that in faculty appointments the academic “unit will take concrete steps against the appearance that a narrow selection was preferred on the basis of considerations having to do with the political activities of the unit’s faculty members” (B-2). He properly adds that tenure decisions not “give any weight to the relationship between the candidate’s political activities, such as they are, and the political activities of existing members of the unit” (B-3). But he once again violates academic freedom in demanding that academic conferences only be conducted “in a manner that is not naturally interpreted as political activity” (B-4). And he parts with reality in directing departments to “take practical steps against any conduct that creates the natural appearance of the unit or its faulty identifying with political causes or of allowing political activities under its auspices” (B-8). While a department must not impose its collective political will on students or faculty, many departments acquire a political character that it is unrealistic to reverse. MALAG is a statutory body, so the document if adopted would have the status and weight of government policy. That is why the proposal’s assault on academic freedom has already done some damage to Israel’s reputation. MALAG, to be sure, has no direct enforcement powers; it cannot punish individual faculty for their conduct. MALAG does, however, set higher education budgets, budgets that Israeli universities rely on to fund much of their work, so institution-wide reprisals would be possible. It may well be that Israeli universities would refuse to enforce this code, which could set the stage for a serious confrontation between campuses and the government. It is also possible that a smaller or more conservative academic institution could decide to proceed with enforcement. Again, MALAG may choose to avoid what now seem likely to be inevitable disputes if the policy is adopted. But the debate is not finished. Responding to widespread criticism, Bennett in mid-June declared the proposal to be a draft subject to revision. Passage of even a weakened version of the rules, however, would be a serious transgression. The only government role regarding faculty speech rights is to ensure their protection through the courts. Regulating faculty political speech is not a government responsibility. Even a weakened set of rules would establish a damaging precedent of government constraint and surveillance. It is a mistake to try to revise or improve the text. It should be abandoned. Our Israeli colleagues, moreover, are concerned that the conservative student organization “Im Tirtzu” may use the code as a basis for ethics complaints against faculty even if it is never discussed, let alone adopted, at MALAG. That is cause for those who care about Israeli higher education to join with our colleagues in opposing this affront to academic freedom. *”Rules for Appropriate Conduct Where Academic Activities Overlap with Political Activities” is divided into three sections—A, B, and C—devoted separately to numbered rules for institutions, academic units, and faculty members. I quote from an English translation of the entire text provided by Alon Harel. Thanks to Ernst Benjamin, Nir Evron, Alon Harel, and Milette Shamir for their comments on earlier drafts. David Greenberg, Rebecca Lesses, Jeffry Mallow, Deborah Dash Moore, Sharon Musher, Cary Nelson (chair), Kenneth Stern, and Irene Tucker constitute the executive committee of the Alliance for Academic Freedom, which has approved this statement. The AAF is a group of approximately 200 scholars who believe in the importance of academic freedom and open intellectual exchange, and so reject calls for academic boycotts and blacklists, as well as efforts to punish academics for their political speech, including those who support the academic boycotts that we oppose (https://thirdnarrative.org/community/campus/aaf/). Cary Nelson (crnelson@illinois.edu) is Jubilee Professor of Liberal Arts & Sciences at the University of Illinois at Urbana-Champaign and an Affiliated Professor at the University of Haifa. He was president of the AAUP from 2006-2012. His most recent book is Dreams Deferred: A Concise Guide to the Israeli-Palestinian Conflict and the Movement to Boycott Israel.